dsmHack is everyone that helps build this community. However, dsmHack is led by a Board of Directors that organize events and facilitate programming. Here are the people, helping the people, help the people that help people. Kevin is a lead software developer at Principal, an insurance and financial services company headquartered in Des Moines, Iowa. Kevin is part of a team responsible for building applications that help customers do business with the company online. When Kevin is not creating business capabilities and innovating the culture at work, he can be found volunteering at local events. Kevin is the president and a hackathon co-founder for dsmHack. He also enjoys giving back to the community through Volunteer Income Tax Assistance (VITA) and other downtown Des Moines events. Kevin received his BA in Computer Science from the University of Northern Iowa. Alex is a marketing consultant at Principal supporting the U.S. Insurance Solutions business unit. With a background in working with local nonprofit organizations and connecting them with design resources they need, she joined the dsmHack team in 2015 to help further the marketing aspects of the organization and connect even more nonprofits with the technical resources they need. 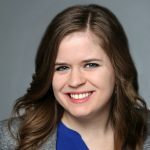 Alex received her Bachelor of Fine Arts in Graphic Design from Iowa State University in 2011 and MBA from the University of Iowa in 2018. Chuck is a software and infrastructure engineer who runs a small software consultancy called Rolek Technologies. His primary role is making software teams and companies more efficient. While also doing some software/hardware projects on the side. When he’s not working, he’s contributing back to the IT and general communities as a whole. For the first three years of dsmHack he was a very active participant, and now he’s an organizer so he can direct his efforts to make each event that much better. He got his BA in Computer Science and Management Information Systems at Grand View University. Before that he got his AAS from DMACC in Business Information Systems where he also actively teaches. 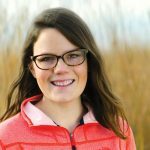 Kerri is the communications specialist at Iowa Natural Heritage Foundation, a nationally-accredited land trust working statewide to protect and restore Iowa’s land, water, and wildlife. Kerri manages INHF’s digital communication programs to educate Iowans about the value of conservation and public land, and INHF’s over 1,200 protection projects. Kerri is personally familiar with the barriers nonprofit organizations face in fulfilling their missions and guides Iowa nonprofits through successful technology projects before and during dsmHack programs. Kerri is a life-long Hawkeye, but received BAs in Magazine Journalism and Graphic Design from Drake University. 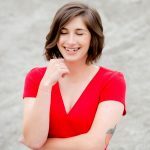 She is an active advocate for bicycling safety, programs, and policy statewide through the Iowa Bicycle Coalition and Des Moines Bicycle Collective. 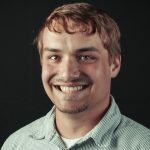 Luke is the Communications and Advocacy Manager at the Des Moines Area Religious Council, an interfaith organization working to meet basic human needs in Greater Des Moines. He is passionate about finding technical solutions to problems that nonprofits face and has been involved with dsmHack since 2016. Luke received a BA in Advertising from Iowa State University and is an AmeriCorps VISTA alum. He is an active member of the Iowa Harm Reduction Coalition and Central Iowa Democratic Socialists of America. Molly is an Iowa native, a graduate of the University of Northern Iowa, and a Green Bay Packers fan. She grew up playing soccer and used her Earth Science and Geology degree to discover and protect natural resources. She is the active Executive Director at Iowa Rivers Revival- a non-profit river advocacy group for the state. Molly lives in Des Moines with her boyfriend Johnny and her dog Lola, and enjoys biking, kayaking, craft beers, and food trucks. 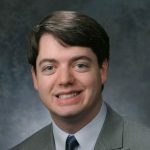 Kyle is a Team Lead and Senior Software Engineer at Berkley Technology Services, a company that provides insurance-related IT services located in Urbandale, Iowa. His team is responsible for the development of a policy administration system that several insurance companies rely on to meet the demands of their customers. Outside of work, Kyle enjoys contributing to open source projects, playing guitar, boating, and spending time with his wife and kids. 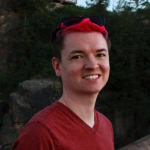 Kyle has been involved as a participant of dsmHack since 2015 and became a board member in 2018. Kyle received his Bachelor of Science in Computer Science from the University of Northern Iowa. Kim is a Senior Technical Account Manager at Atlassian, a software company with a goal to revolutionize the way teams get work done. After spending 15 years on the IT side of financial services, Kim now helps other large organizations maximize their gains in team productivity. 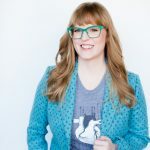 From being a mentor for ambitious females in the IT world to assisting with philanthropic events around the Des Moines metro, she thrives on helping people be the best they can be at whatever they’re passionate about. She is the co-founder and past President of dsmHack. Kim grew up in Nebraska, received her BS in Computer Science from Northwest Missouri State University and her MBA from Drake University. 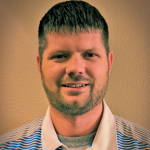 Darin is a software developer with Source Allies, a technology services company in Urbandale, IA who’s teammates strive to be Experts, Owners, Teachers, and Leaders. 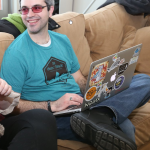 Since his first hack in 2016, Darin found joy in far more than developing software. The opportunities to work with skilled local people, teach and learn new technologies, and to discover the passions of the non-profit participants bring him back every year. Beyond dsmHack, Darin is the Assistant Technical Director and Short Film Coach for Valley High School in West Des Moines and a member of the Comedy Xperiment improv troupe – somehow finding a way to professionally use every portion of his BA in Cinema and minors in Theatre and Computer Science from the University of Iowa. 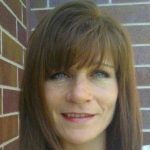 Lynn is an agile coach and trainer at John Deere Financial. Having started her career as a developer, she understands the needs of the developer and seeks to bridge the gap between business and IT teams. Having experienced the power that agile principles make within teams and culture, she’s the happiest when others get to realize that power. She has participated in the dsmHack for many years, including providing an agile workshop for non-profits. Lynn enjoys traveling with her husband and being active in her church.